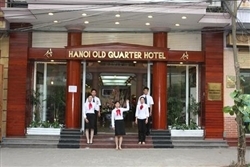 The reception team (available around the clock) will welcome guests to our comfortable 3-star hotel. The 26 air-conditioned rooms naturally all have cable television, a telephone and a minibar. The hotel is situated very close to the centre (approx. 0.0 km). For trade fair visitors, the hotel has a premium location, just 1.0 km away. The friendly hotel staff are happy to offer room service and a wake-up facility. If you have any valuables for safekeeping, please contact reception or use the safe in your room. Children are welcome! There is a play area and we will also gladly place a cot in your room (please ask at time of reservation). The hotel provides Internet access in the rooms and public areas (WLAN). The business suites provide all the comforts business people can expect. The hotel has free parking spaces for guests. For your wellbeing the bathroom includes a hairdryer and bathrobe. If you wish to have a room with a balcony please indicate this when booking. Non-smokers can request special non-smoking rooms. The steam room and sauna offer the perfect opportunity to switch off and relax after a busy day. Be good to yourself and relax with a massage in the hotel. Use the hotel's rental bicycles to get to know the locality! Enjoy dinner in the fine evening air on the hotel's terrace. While away the evening with pleasant company, with other hotel guests in the hotel bar. The bistro also serves snacks outside the normal restaurant opening times.